Lexus has announced that it will launch the Lexus Safety System + package in 2015, which will combine four active safety technologies in order to keep drivers, passengers, and pedestrians alike safer on roadways. The Lexus Safety System + package will include: Pre-Collision System with pedestrian detection (PCS), Lane Departure Alert (LDA), Automatic High Beam (AHB), and Radar Cruise Control. These technologies do just about everything the names imply: PCS uses camera and radar to detect vehicles and pedestrians, alerts the driver, and automatically applies the brakes in order to prevent a collision if the driver is too slow to respond. LDA uses a camera to read lane markers and notify drivers when they are drifting out of their land, and Lexus says that certain vehicles will come equipped with Lane Keep Assist to help correct the driver’s action. 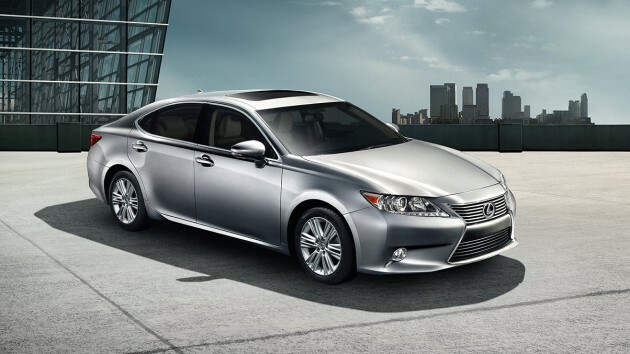 AHB uses cameras to detect oncoming vehicles and vehicles ahead of your Lexus. When the road is otherwise empty, it will apply the high beams. When other vehicles are present, it switches to low beams. Radar Cruise Control uses radar and a forward-facing camera to adjust automated traveling and ensure a safe following distance. Lexus says the rollout will begin on 2016 model year vehicles, with Lexus Safety System + expected to be either standard or available for all Lexus vehicle in Japan, Europe, and North America by the end of 2017. No price has been set, but as Cars.com notes, the ES 350 offers three advanced safety techs—blind spot warning, pre-collision system, and lane departure warning—for a combined cost of $3,015.